Just got this piece of equipment in. It is a small piece of the continual strive to make better beer, consistently. It was sold to me by a very nice Danish or Swedish guy who works for an Austrian company (sorry ‘merica). 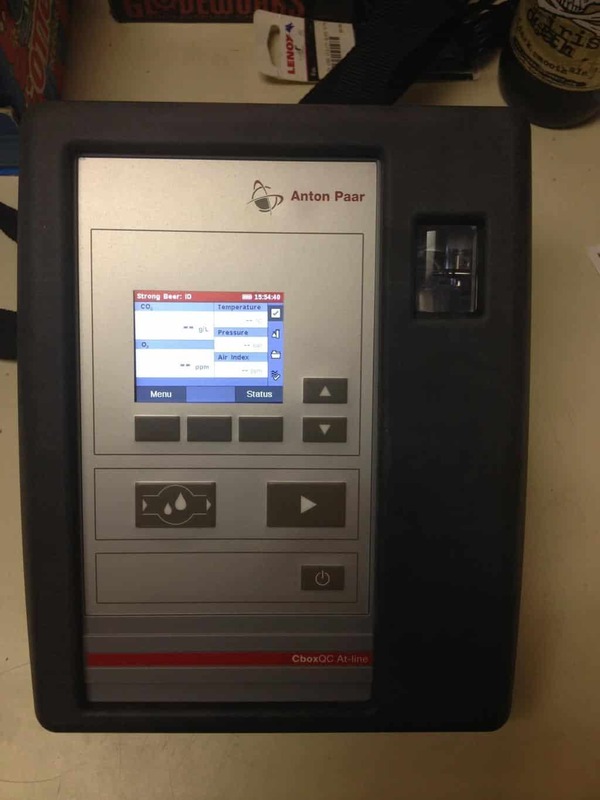 What it does is measure dissolved oxygen (DO) in beer as well as CO2. Why the hell do we want to do that? Well, CO2 is what makes the bubbles which make the foam and make the tingle in your mouth and DO is what shortens the shelf life of beer by providing a route to oxidation of compounds in beer. This results in a wet cardboard aroma caused by the compound trans-2-nonenal. I think it smells and tastes like I vurped (vomit burped). Not something that is pleasant. I am keeping this blog short because it has been a hell of a week so far. Some of the things I’ve had my hands in for the first two days: processing orders, planning brews, ordering malt, organizing the installation of a new air compressor, getting a system in place for buffering wastewater pH, fixing a fermentor, giving general advice, projecting package splits, and writing this blog. Just a taste of what it is I do (in case any of you wonder). To leave this post, guess what that goody above costs? I’m sure Jared will give the winner something. editors note: yes, IHB will give the person with the correct guess (within 50 dollars) a free t-shirt. Leave your guess in the comments section of this post. What The Hell Is A Radler?